Listening to this track made me reflect on Tablo’s life and music career: his rise in popularity as an artist in Korea with the release of Epik High‘s ‘Fly’; the release of one of the best hip-hop albums ‘Remapping the Human Soul (2007)‘; the rise and fall of the independent music label Map the Soul; the temporary disbandment of Epik High; his marriage and the Stanford controversy… And now he has returned to the music scene with YG Entertainment with a brand new album coming out on November 1, 2011. Many fans are worried his music won’t be some same after clasping hands with YG Entertainment, but the track ‘Airbag‘ proves otherwise. Welcome back, Tablo! You can listen to the track below, but please support him and his music by purchasing the track on iTunes. 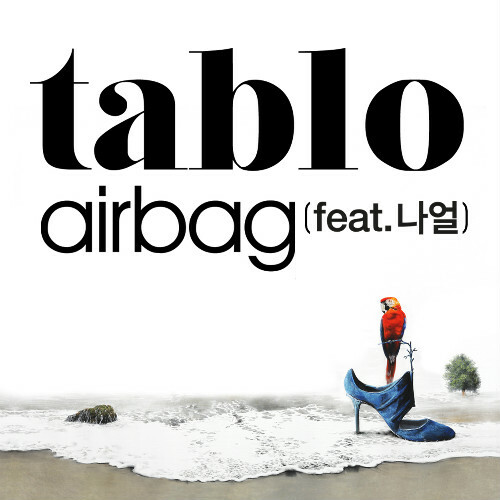 Unfortunately the track ‘Airbag‘ is currently available in Korea and United States only, but I’ll update this page when the track is available worldwide. The lyrics are in Korean, so I’ll post a translated one (soon hopefully). What are your thoughts on Tablo’s return and his new single ‘Airbag’? I need an airbag before I crash into the colossal sadness that is coming my way. On nights I don’t want to go home, the taxi driver will purposely avoid the fastest paths. The chatty DJ on the radio won’t bring in guests that make me laugh or turn on songs that make me smile, conversations just get longer. I’d normally not want to listen to it and ask for the channel to be changed, but I don’t have a song in particular I want to listen to either. Keep talking and drown out the thoughts in my head. People laugh at words I can’t understand, and seeing as how the taxi driver, who normally has an expressionless face, is laughing along, it must be a popular punch line. Maybe I’m the only lonely island. In the end, a song requested by a listener is introduced. It’s a sad song that I once loved. Is that person alone, too, at a place where a long day falls into slumber? I need an airbag. It’s too late to avoid it. I have so many things I need to take care of; it’s hard for me to get drunk anymore. But it’s not like I’m avoiding the drinks, maybe it’s because I don’t want to be left alone. Is it just because I want to catch someone’s attention by being alone? Loneliness is so definite to me. If someone was to be by my side, would there be enough of me to share? It’s a question mark I don’t want to include. At that moment, I hear a voice through his call. The promise to meet up for drinks must have been canceled. He hangs up and grumbles, and my gaze becomes fixed to the family picture sloppily hanging by the meter. Do people lose themselves because they don’t have a home or a path to walk down? Or is it because even though they have many places to go, there is not one person waiting for them there? I don’t know when it began to fall, but I look out the window and see the rain fall collect into puddles on the streets. Over the puddles, I see the reflection of an electronic display alerting drivers of a car accident. Why, why at this moment, do I suddenly tear as I’m reminded of you, you who’s probably living happily… Next to the term ‘death’ is the number one… Why does that number look so lonely. It’s a night where I miss you dearly, and my heart slips with the rain. I need you, yes I need you, my airbag. Edit 2: Tablo has posted his lyrics on Twitter. Check it out by clicking here. This entry was posted in Album Release, News, Videos and tagged Airbag, Epik High, Tablo. Bookmark the permalink. Gosh, I love this song so much. I’m not one bit disappointed with Tablo’s comeback – just hope the rest of the album is going to be as good as this.